All people go through life with one of three questions looming over them and the decisions they’re faced with from day to day. #1-How do other see me? #2-How do I see myself? #3-How does God see me? For the follower of Christ, it’s simple because the answer is the same to all three questions: Jesus. When God looks at His children, He sees Jesus. Therefore when we look at ourselves, we are supposed to see ourselves through His sacrifice and the new life that He has purchased for us. Obviously we don’t actually look or act or think like Jesus often times but He is our new identity and our goal is to be like Him. Because of that, we are meant to reflect Jesus to others. Our goal is never to display ourselves to the world but to put Him on display through our love for others and standing for what He taught. You are the light of the world–like a city on a hilltop that cannot be hidden. For those without Jesus (and sometimes Christians too), the answer to the three big questions can vary drastically. The answer to question #1 often times dictates the answer to question #2. The answers comes from words spoken to them, friends they have, their appearance, likes on Facebook posts and tweets, affirmations, successes, etc…Sometimes people will translate their own view of themselves towards how they perceive others, and even God, may see them. This can be either out of insecurity or even pride. People like this think things like “I’m a failure” or on the other end of the spectrum, “I’m the best thing since sliced bread”. Because they have thoughts like those they assume that obviously others must see me that way too. In reality, neither of those statements are true. No one is hopeless and no one is the greatest thing this world has ever seen. Point is, we cannot answer questions #1 or #2 accurately without first knowing the answer to #3. I work in a high school where I see teenagers trying to create an image for themselves that they hope will win them acceptance from others. They dress a certain way, listen to certain music, where their hair in a particular style, follow all the popular people on Instagram, want to drive the right cars, etc…believing this will get them “in” with who they want to be “in” with. That’s what it all boils down to isn’t it? We all want to be accepted, loved, safe, etc…When we don’t feel that way ourselves, we try to get those things from others. When that doesn’t work we feel hopeless and depressed. For some, life will pass them by without even giving consideration to question #3 which is where we have to start. Think about it. Why do we go to an imperfect source of love (people and ourselves)? Why do wait so long to look at the One who invented love and paid the ultimate price so that we can be accepted despite our choices and failures and struggles in life? Why do we expect anyone (ourselves included) to give us the answers we need accept the One who created us? Believer, start with Him. You are chosen. You are His child. You are forgiven and loved. You are accepted and you are new. Start with that and live free. Everyone else, start with Him. You are being called. You are loved. You can be forgiven and new and accepted. Start with Him today and live free. It’s all about question #3. God bless! Sunday October 23rd was the conclusion to the Holy Feast Calendar based on the seven Holy Feasts laid out by God in the Old Testament. Several friends and family members of mine met to honor the feast known as Tabernacles. Other names include the Feast of In-gathering, Feast of Booths, or Sukkot. A lot of people don’t spend much time investigating and studying feasts like this because it sounds to unfamiliar. 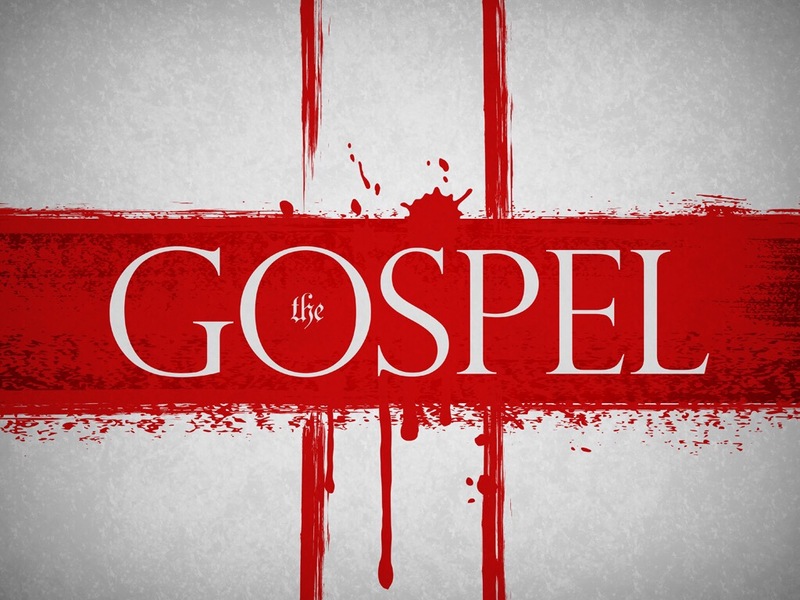 In fact, I think most Christians even may skip over these when reading the old testament or read them but miss the relevance and connection to us as followers of Christ. But…they are jam packed with so much details about God’s redemptive plan for humanity and all of them point to some character attribute of Jesus Christ and His past and future work here on earth. In one of my previous blogs I introduced a little on the feasts. This post is all about the Feast of Tabernacles. I love the feasts and Tabernacles is one of my favorite. Some of the feasts are meant to be solemn but other are meant to be full of rejoicing. Now there are obvious reasons to be joyful and full of hope with all of the Holy Feasts and in Tabernacles we are actually commanded by God to celebrate and be full of joy and thanksgiving. How awesome is that? So here is a little taste of why this feast is so cool, most of all for Christians. The theme of the feast is in the title. The tabernacle, or dwelling, is a common symbol used for God’s presence among His creation. In Exodus, God commands Moses to build a tabernacle in the wilderness. Why? Because God wanted to dwell among the nation of Israel. Later on Solomon would build the first temple which had a similar layout as the tabernacle and served the same purpose…God’s presence among His people. Fast forward to John chapter one and we see an even greater representation of God dwelling among us. The Word is obviously Jesus, who was the full embodiment of God in the flesh. Jesus is the tabernacle and the temple. The word “dwelling” in this verse is actually the same word used for “to tabernacle”. If that’s not enough to blow your mind and prove the significance of this feast for Christians, then lets keep going. Do you not know that your bodies are temples of the Holy Spirit, who is in you, whom you have received from God? You are not your own;20 you were bought at a price. Therefore honor God with your bodies. As believers in Christ we too are tabernacles/temples. God no longer just appears to us in temples and tents and churches, God’s Spirit is dwelling/tabernacling in us. Those who just look at this feast from it’s old testament meaning are missing more than just one piece of the puzzle. Yes, it originally pointed to God dwelling among Israel and them living in temporary homes known as booths while on their journey to the promised land, but all of that was a foreshadowing of greater meaning later on. 11 Beloved, I urge you as sojourners and exiles to abstain from the passions of the flesh, which wage war against your soul. Just as the Israelites wondered in the wilderness and dwelt in temporary homes before reaching the promised land, so too are we. The word “sojourner” means a traveler…someone passing through. You’ve seen the bumper stickers. “We are not of this world”. They come from the statement Jesus made when praying in the garden of Gethsemane the night before He was crucified. We, as Christians, are passing through this world on our way to THE promised land, which is actually our home. So this Feast has a past significance (the tabernacle, the temple, and Jesus coming to live on earth), a present significance (God’s Holy Spirit living in us), and also a future significance. This is what we celebrate when we celebrate the feast. We honor God’s faithfulness in the past, present, and future. We praise Him for wanting to be among us and that He has allowed us to be in His presence. This is only a taste of what this feast means of humanity. I encourage anyone in search of knowing more about God’s character and His plan to research all of these feasts. Knowing these unlocks so much of the bible and gives us so much hope that He is control. That’s something we need in these difficult days. There it is. The depravity of humanity, his/her separation from God, God’s faithful pursuit of humanity, and the resulting heart change of someone who has found salvation in the Lord! Oh to hear those trumpets sound! At sunset on Sunday, October 2nd, millions around the world joined in a biblical holy day known as Rosh Hashanah, aka the Feast of Trumpets. I would venture to say that most of those observing this day are our Jewish brothers and sisters, but many are followers of Jesus Christ (Yeshua). Four years ago my wife and I embarked on a journey of discovery that has been, well, quite amazing. Feeling a mix of conviction and curiosity, we decided to dive into a study of the Holy Feasts that God had commanded His followers to honor. There are 7 specifically outlined in Leviticus 23. Three take place in the spring, one in the early summer, and three more in the fall months. Taken as a whole, they are a beautiful picture of God’s redemptive plan for His creation. We have learned a lot of incredible things by studying these feasts. Among them is that every single feast is a record of something Jesus has either already done for us or is going to do for us in the future. That’s why a lot of Christians have gotten on board with learning about these feasts and observing them to the extent of honoring Christ. Every sacrifice made during these feasts were related to some aspect of Christ’s ultimate sacrifice for us. Now that doesn’t mean that Christians are supposed to make the animal sacrifices that are outlined in these feasts. That would be meaningless and empty in light of Christ’s once and for all sacrifice. But the call to sacrifice has not changed. Romans 12:1 says to be a daily living sacrifice. But, Every Old Testament event that these feasts were tied to were but a foreshadowing of Jesus (Yeshua). I’ve already talked more about the feasts than I planned to because I really just wanted to focus on the ones happening this fall. Come springtime I’ll be highlighting the sweet truths contained in those feasts. Rosh Hashanah carries with it a meaning of newness. 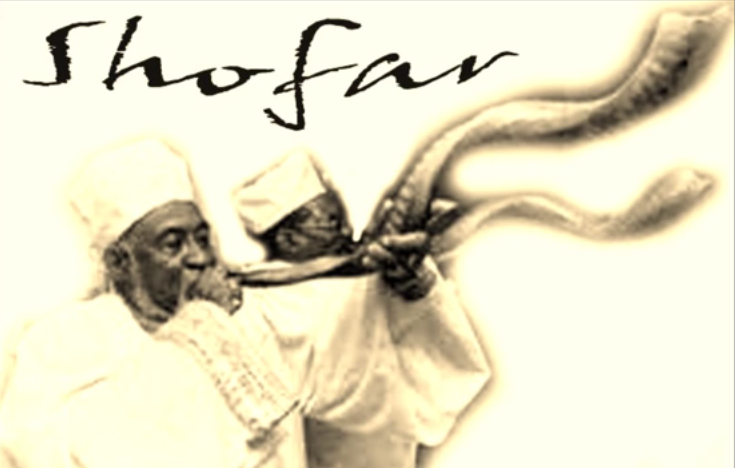 Trumpets (shofars) are sounded which marks the beginning of both a serious series of days and a rejoicing moment looking ahead because of what it points to. This feast ultimately signifies the moment when Christ will take His bride. It’s the moment that all Christians look forward to the most. We will get to be with our Savior forever! For that reason, Rosh Hashanah is our new beginning in the most real sense. For others, meaning those not devoted to Christ, this marks the beginning of the days of Awe leading up to judgment day, which happens to be ending today on the feast calendar (October 12). This day is known as Yom Kippur or the Day of Atonement. In the bible, it discusses this feast as the great day in the year when the high priest would offer a sin sacrifice for the nation. The High Priest (Jesus) has made that once and for all sacrifice. Prior to that, the Yom Kippur sacrifice would earn people’s entrance into the Book of Life for the following year. Are you seeing the foreshadowing here? The ultimate sacrifice of Christ bought His followers entrance into THE Book of Life for all eternity. So for Christians, the ten days of awe are glorious reflection on His amazing goodness, culminating in The Day of Atonement when we honor Christ for inscribing our names in the Lambs Book of Lamb. How awesome is that!? Coming up this Sunday, October 16, we have the final of the seven Holy Feasts of the Lord, Sukkot or Tabernacles. More to come on that…but it is amazing! God bless my brothers and sisters. Be encouraged that God is and has been in control since the beginning of time.